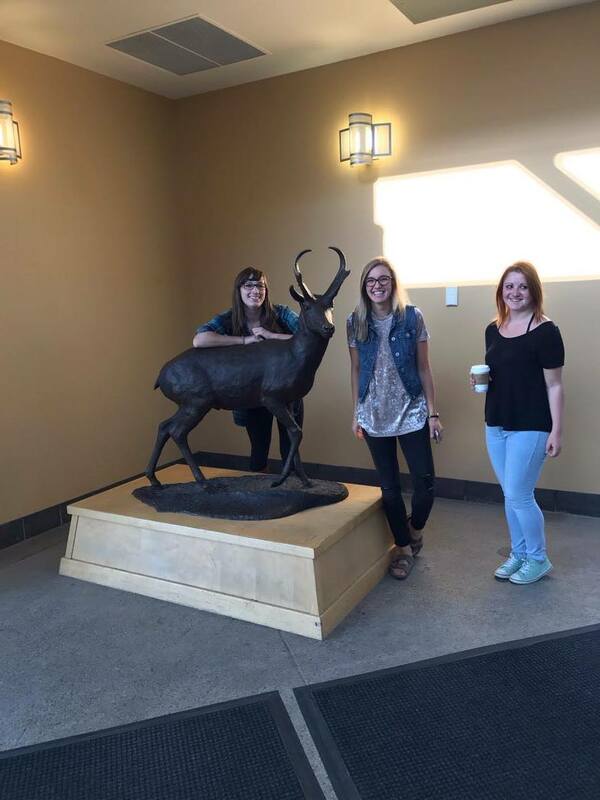 Kaleigh (left), Emily (middle), and Spencer (right), posing next to the Little Lethbridge Library in the bus loop. They were all very happy to cross another item off their scavenger hunt checklist! 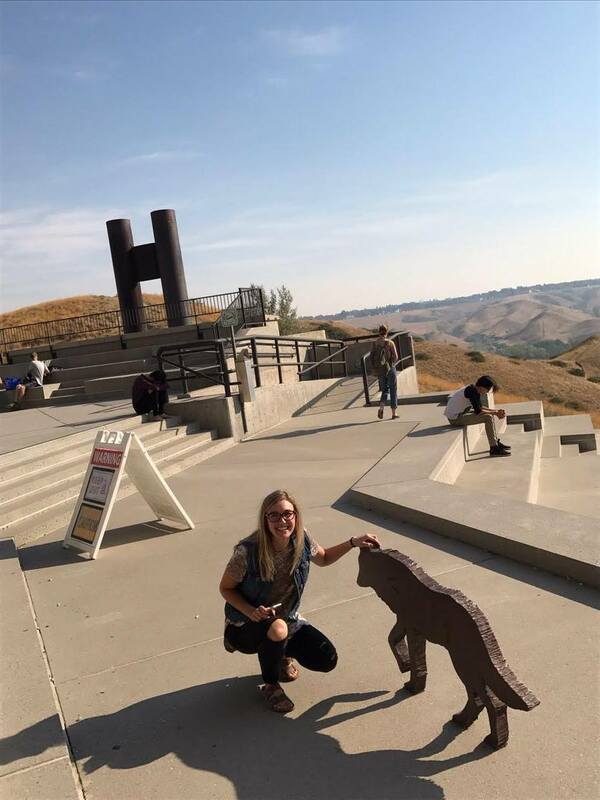 Reanne saying hello to the wolves on the UHall patio near the smoke stacks. Kaleigh (left), Reanne (middle), and Emily (right), posing proudly next to our lovely mascot. Still waiting to spot a real-life pronghorn on campus! 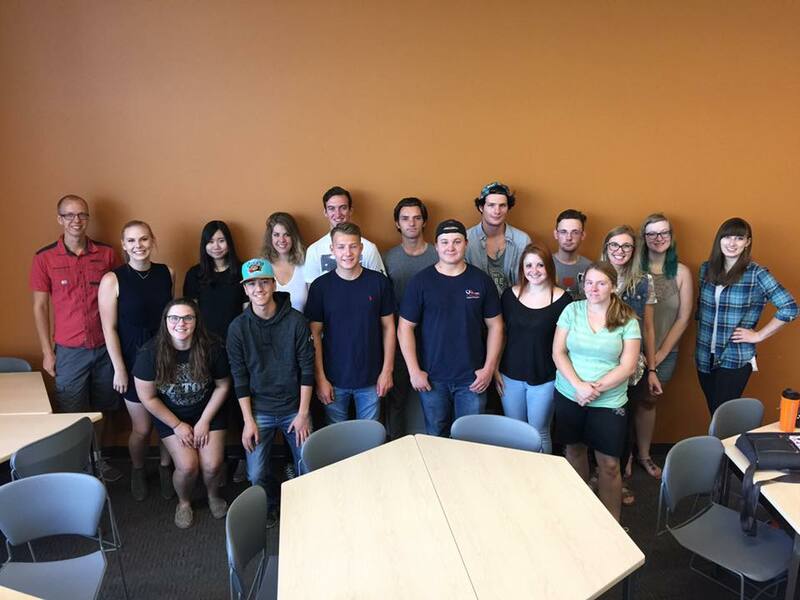 The IME class on the day we took our website photos. Newer PostThe Awkwardness That is Your Case Group.